Home » News » product news! For 2016 we have some new products coming up, as we mentioned in our previous announcement. First we introduced the carbon edition, designed for easy handling (roadies: you are welcome). We have also been busy with some specials last year. Most of these requests involved bass guitar and two speakers. So we combined some of these specials we build and tested. 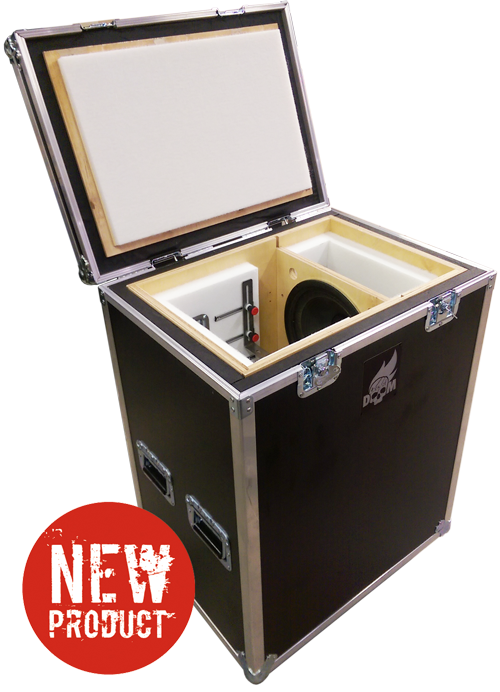 The result is the XXL it's a larger dimentioned BoD, and can handle 2x 12" speakers and ofcourse easily 2x 10". For Dutch customers and interested.. We will be present at the musicfair in Utrecht (feb 13/14) and we will bring over a pre-production for you to see.